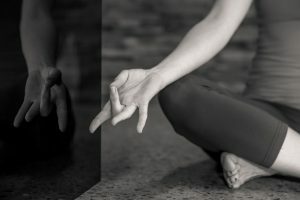 In The Complete Guide to Using Yoga for Stress Management Part 1 we looked at yoga’s unique approach to stress management and how the physical yoga practice and breathwork can help to both reduce stress and its negative side effects. In Part 2 we’re going to go a little deeper. Yoga teaches us that it’s not enough to treat the symptoms; we need to investigate the root causes of why we get caught in chronic stress in the first place. To some extent I think its human nature to want to find the most immediate and least effortful way possible out of our suffering. We have a sore neck, so we go for a massage – it helps ease the pain for the moment but we never address the underlying cause of why our necks are so sore in the first place. We feel we need to lose weight and we go on a diet – again this might have a positive temporary impact but will be short-lived if we never stop to look at the real reasons why we overeat. Yoga often asks us to look into the deeper reasons behind why we do the things we do. 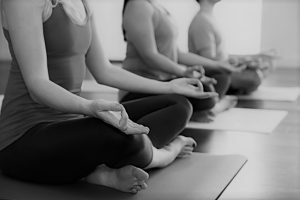 When we step onto a yoga mat the practice asks us to tend to our tendencies – to look at our behaviour patterns, our habitual ways of thinking and to start to see how these things affect us at all levels, physically, mentally and emotionally. Why do we get stressed? Why do we react the way we do to certain situations or scenarios? How can we use this self-knowledge to help us learn how to cope better? As always, yoga offers some powerful and yet very practical tools to assist us in unraveling the cycle of chronic stress. None of these practices are quick fixes but they can go a long way towards helping us live a calmer, saner and more peaceful life. “Watch your thoughts; they become words. Watch your words; they become actions. Watch your actions; they become habits. Watch your habits; they become character. Watch your character; for it becomes your destiny.” ~ The Upanishads. Bruce Lee put it another way. “As you think, so shall you become”. Simply put, if we want to understand and manage our stress levels we need to look at our thought patterns. For a start, it’s helpful to know that from an evolutionary perspective our bodies and brains have a hard-wired ‘negativity bias’ for survival. Our sense organs are constantly scanning the environment for potential threats and our mind is constantly busy trying to interpret this incoming information. We’re wired to believe and expect the worst. Stress occurs when we perceive that the world is threatening in some way to our survival. One of the reasons that stress can become chronic is that our bodies don’t know the difference between a real physical threat (such as stepping in front of a bus) and a mental or imaginary stressor (such as worrying about a difficult conversation we need to have with our partner). If left unchecked and unexamined this propensity to always fear the worst can leave us vulnerable to feeling constantly on edge and chronically stressed. The good news is that the brain is changeable. Neuroplasticity shows us that we can rewire our brain to be less reactive. We can rewire neural pathways and link potentially stress-triggering events, such as being stuck in a traffic jam, with more positive emotions such as feeling calm and peaceful. Overtime, the more we practice, the more ingrained this neural pathway becomes. So what can I practice? We live in a highly stimulating world, bombarded by screens, advertising and social media. This constant influx of information can lead to us feeling burnt out, fatigued and distracted. Yoga offers a simple solution called pratyahara – reduce the amount of external stimulation going on around you and turn your attention inward. Simple things like turning off your phone, closing down the laptop and selectively moving your attention to an internal phenomenon such as the breath are all examples of practising pratyahara. This can go a long way towards reducing that sense of overwhelm that we get in stressful and anxious moments – clearing space for us to become less reactive. So why exactly is mindfulness such a powerful stress antidote? When we are mindful we are deliberately focusing on the present moment which helps us to detach from rumination about the past or fears and anxiety about the future. We learn to focus on what is right in front of us. If difficult feelings are present we practice sitting with them, accepting them, neither ignoring nor trying to numb them out. By not resisting difficult moments as they arise we start to struggle less which in turn reduces our suffering and our stress levels. The act of becoming present invites a certain level of spaciousness, allowing us to consider our options and respond to a situation rather than knee-jerk react. This in turn can lead to more thoughtful and insightful responses to events. Mindfulness helps us to see the fundamental truth of impermanence. We watch thoughts come and go, sensations arise and dissipate, and we learn that everything changes. Sometimes in the grip of a stressful life event just this alone is comfort enough. We learn to become less attached to our thoughts instead preserving a level of objectivity and distance. We become aware of the tendency towards negativity and over-reactivity. We wake up to our autopilot and habitual ways of thinking and reacting that get us caught in stress cycles and learn to consciously move away or separate ourselves from them. Our thoughts have no birthplace, they are random and reactive. They are unoriginal and repetitive. They are not truth of hard fact but rather our perception of reality based on our history, conditioning, judgement and expectations. One of the fundamental tenets of Buddhist philosophy is that ‘pain is inevitable’ but ‘suffering is optional’. We all experience things in life that are difficult and distressing – there are no avoiding some stressors in life such as losing a loved one or having to move home or job. How stressed and anxious we become has less, however to do with the external events that are happening to us, and more to do with our perception and the meaning we give to the events themselves. Our hardiness and resilience towards stressful events also lies in our ability to find a sense of meaning and coherence in our difficulties and challenges. We can re-frame our challenges in terms of life’s lessons and part of our spiritual growth. More and more research is also pointing to the power of gratitude practices for helping us to change our worldview and to bring life’s stressors into perspective. Part of the ‘negativity bias’ of the brain is to see scarcity – there is never enough, time, money etc. Gratitude practices such as journaling help to shift us away from a sense of lack, to feelings of abundance and contentment. Studies show that those who keep a regular gratitude diary report higher levels of positive emotions, including feeling attentive, determined, energetic, enthusiastic, excited, interested, joyful, and strong, compared to individuals who didn’t keep a diary. Increase the number of things you do in your day that hold intrinsic meaning and value to you, whether it’s practicing yoga, spending time with a loved one, or becoming absorbed in a pleasurable activity. Take a moment at the beginning of your yoga practice to set an intention – what would you like this practice to awake in you? 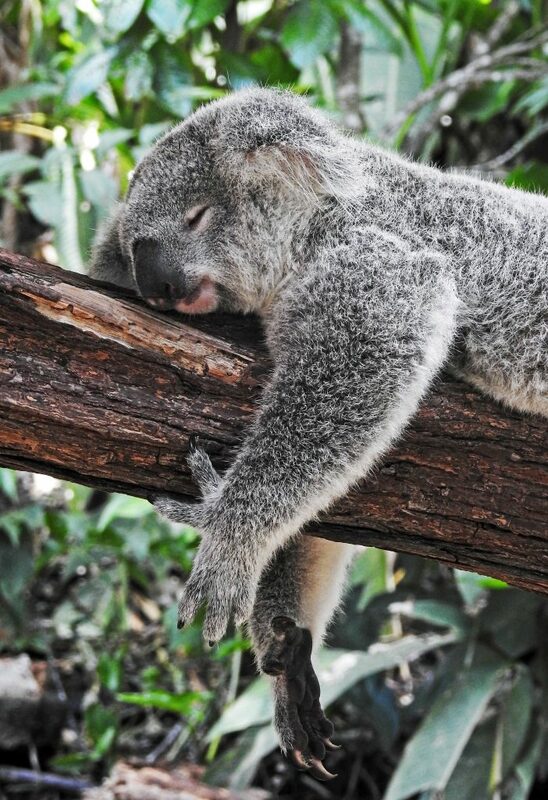 How would you like to leave your yoga mat feeling? Inviting a sense of intention into your yoga practice helps to make it more personally relevant and meaningful to you. In difficult yoga postures see if you can notice your reaction towards the difficulty and see if it is making the situation easier or more difficult. Practice staying connected to breath and a sense of steadiness and ease as you explore your physical boundaries. Keep a gratitude diary – every day for a week, list 5-10 things that you are grateful for. Try to think of new ones every day. At the end of the week reflect on how this practice has helped to see things in a different perspective. Practice loving-kindness meditation – this practice has been shown to increase empathy and compassion for ourselves and others. When we are very stressed we tend towards feelings of isolation – this meditation reminds us that we are just part of a much bigger supportive network. we are living lives that we feel are meaningful in accordance with our values. If we can make some headway in these areas then we are much more likely to enjoy moments of samadhi. Yoga does, however, have some incredible tools for helping us get a taste of this quiet space no matter what our life circumstances might be. 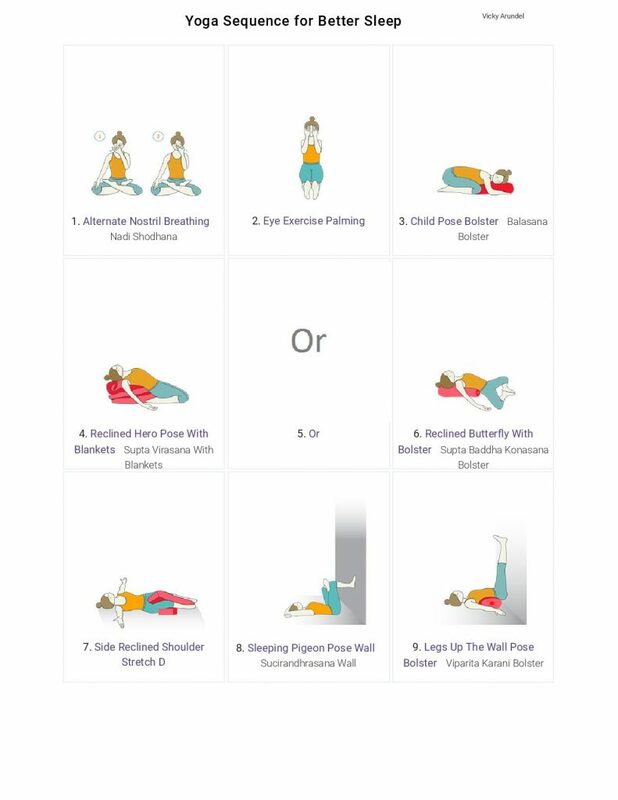 Of all the yoga techniques that I dish out to my clients yoga nidra is the one I use the most frequently for its powerful ability to move us out of a stress response and into a relaxation state. Yoga nidra is a relaxation technique that guides us towards a deeply restful place somewhere between waking and sleeping, which in turn is deeply healing when we are dealing with chronic stress. In fact, so well-regarded has this simple relaxation practice become that it is now offered as a viable treatment for Post Traumatic Stress Disorder (PTSD). There are literally hundreds of great free yoga nidras online so its best to try a few and pick one that personally resonates. However to get started here’s one that I particularly enjoy. Practice daily for a week and feel the difference!